Well, he didn’t hold out last night. It was a spectacular show and did the city proud. My husband Jerry, who isn’t always thrilled when I ask him to help me photograph fashion shows, loved every minute of the show. “Imagine all those people at Ala Moana Center who are just visiting Hawaii. If they were to see that show they would have a whole different idea of what fashion in Hawaii is all about,” he said with obvious pride. The palette: Black, white and gray. The collection is beautifully crafted with a plethora of details that would be a nightmare for most seamstresses. But Richie, ever the perfectionist, has found fabulous people in Asia who can do anything he asks, even multiple zippers, complex deconstructions and other baffling details. 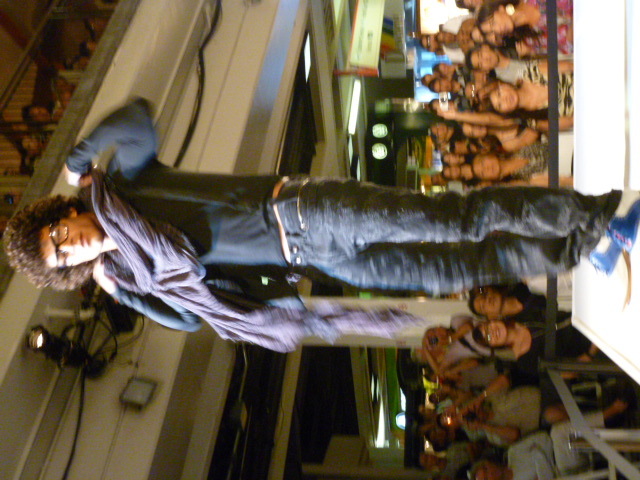 Even with my deisgn background I cannot figure out how he has engineered some of these garments! Although originally conceived as a men's line, Lovelessizm can often be worn by women. 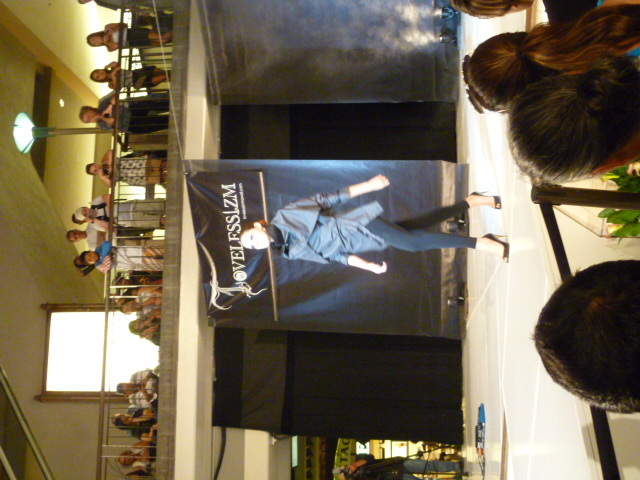 The versatility of Lovelessizm was made evident throughout the show. Models morphed their garments right on stage. 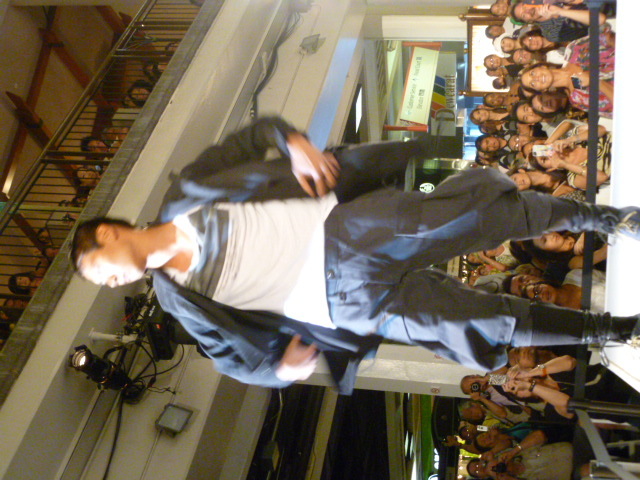 Many of the pieces have functional zippers that can change the entire character of the garment. Model Forest Gorham morphs his jacket. Richie has taken some iconic men’s garments, such as motorcycle jackets, utility belts and jodphurs, and turned them on their heads. Do these pants remind you a little of WWI? 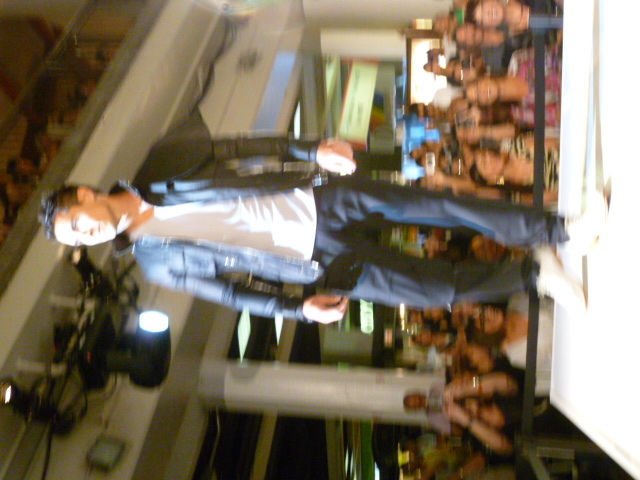 Models were provided by Wilhelmina Models and styling was by Ryanjacobie, a Paul Mitchell Focus Salon. Yes, it works for women. 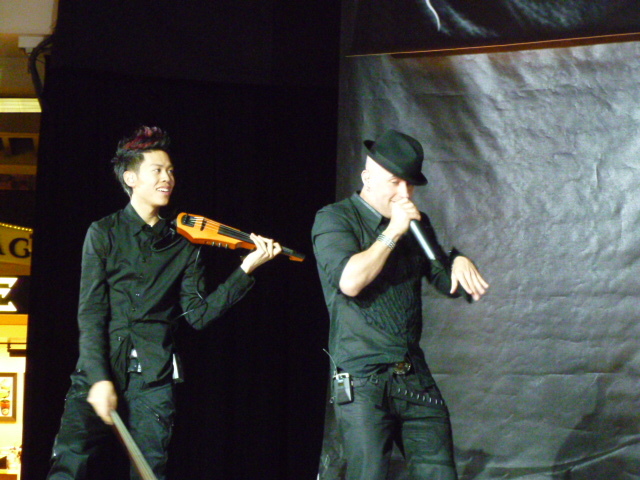 The music, by L.A.-based vocal percussionist (beatboxer) Jake Moulton and violin player Jason Yang was fantastic. 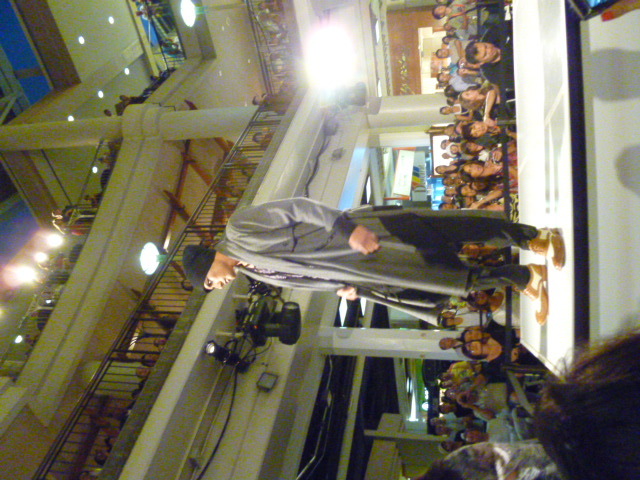 Hats off to Malie Moran and Hawaii RED Magazine for a job well done in putting together the show. Mahalo to Jerry Mayfield for the photos. 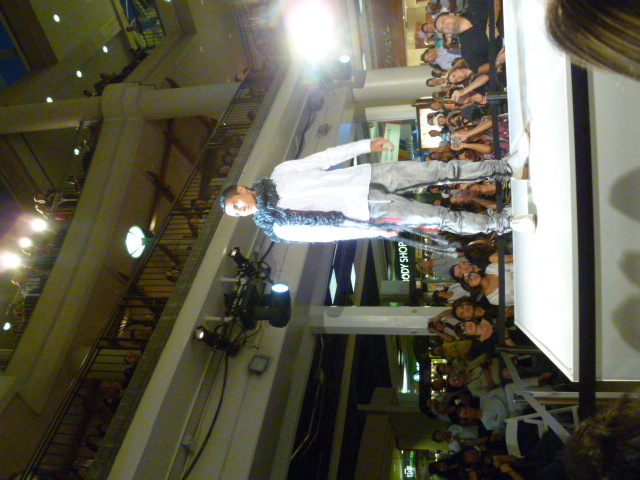 This entry was posted in Hawaii Fashion, Uncategorized and tagged Hawaii Fashion Incubator, Hawaii Red Magazine, Hifi, Lovelessizm, Malie Moran, Richie Miao. Bookmark the permalink.